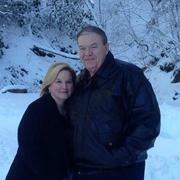 Dr. Jim McCann and his wife Becky, founded Victory Christian Fellowship in 1985. Victory Christian fellowship is a growing and thriving church with a heart for the city, region, and the world. Dr. McCann and his wife were raised in the Birmingham /Adamsville area. In 1980, Pastor Jim, his wife Becky and their three children, left for Kenneth E. Hagin's Rhema Bible Training Center in Tulsa, Oklahoma. Upon graduation in 1983, he returned home and served as intern pastor for a local church in Birmingham. After two years the Lord said, “It is time” and VCF was founded. Dr. McCann is also a graduate of Life Christian University and holds a doctorate of Philosophy degree in theology and a doctorate of Christian theology from International Ministers Institute (IMI) He teaches Bible classes at the church campus extension in Adamsville. Dr. McCann and Becky’s children are now married and they have seven beautiful grandchildren and one on the way, Rebekah, Isabellah , Sadie , Mattie , Walker, Katie Brooke and James V.
Dr. McCann is a 4th degree black belt in Yoshukai karate and a 4th degree black belt in Shorite Ryu Tai Jitsu. He is also a member of the International Christian Karate Association and also sits on the board. Dr. McCann is known for his love for the flock. He is called to minister at churches on a regular basis, to stir up the churches for revival and commitment for the cause of Christ. He has also ministered abroad. His heart is for the family and his mission in life is to “Change Families that Change the World”., Teaching to make strong, Preaching to empower and Healing to bring hope. Jim and Kelli serve as Associate Pastors and Youth directors at VCF. Jim has a website based on expositional teaching called getintotheword.net. In 2004 Jim earned his PhD in Theology from Life Christian University, Jim and Kelli have two children, Katie Brooke and James V.
Jim is also the author of "The Final Lap"